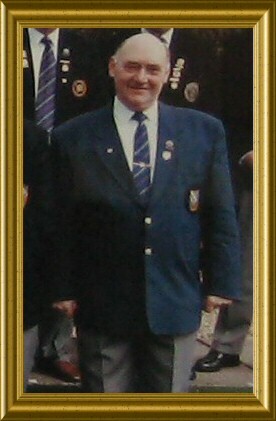 Honorary President of the Club and Past President of GBA, Grant Wilson,died suddenly at the Scottish Cup Final on Saturday 25th May 2008. As a mark of respect, the green was closed from 12 till 2pm. 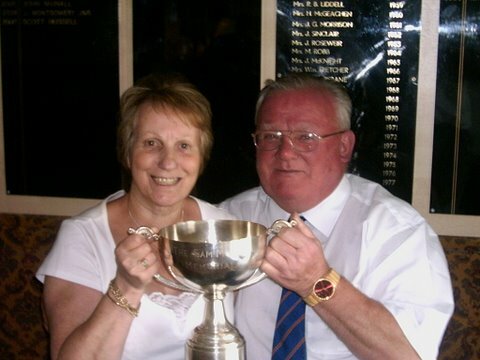 Club member Jimmy Hoad died in March of this year ( see video tribute ) and it was agreed that his son's sponsored triples tournament would be renamed in memory of his Dad. It was lovely to see Jimmy's son Stewart, his daughter Glenda and their families all at this inaugural tournament which was superbly supported by friends and bowlers from within and outwith the area. Hoad Bulk Services this year sponsored 4 teams each kitted out with the sponsor's logo on their shirts. Once again we were delighted to have sponsorship from Hoad Bulk Services and doubly delighted when owner Stewart Hoad came along with a feast of raffle prizes and was also on hand to present the prize money. A scorcher of a day added to the atmosphere created by the sixty players and their supporters. After five games the four section winners gave us semi-finals followed by a thrilling final played between Burnbank Hamilton BC and Halfway BC. 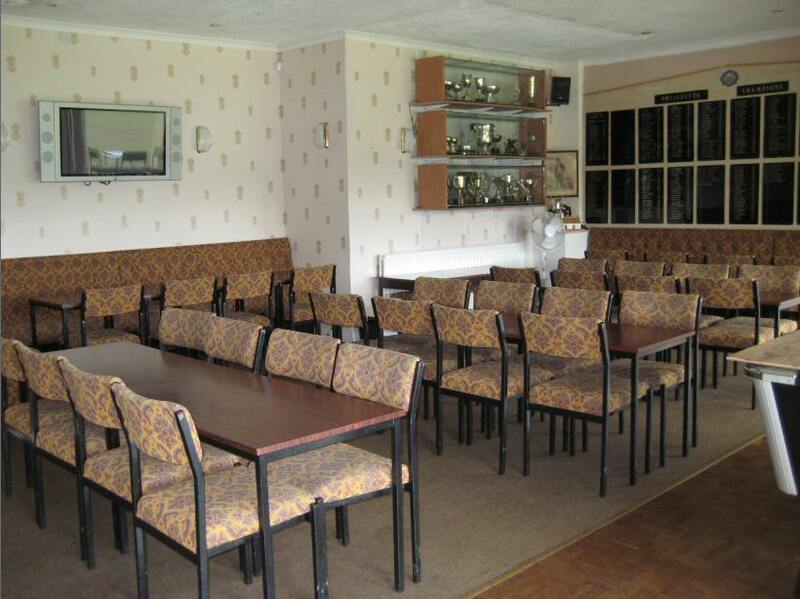 The game was scored even playing the last end and was won by Burnbank Hamilton with the very last bowl. A fabulous day out and a great tribute to our old friend and fellow bowler Jimmy Hoad. 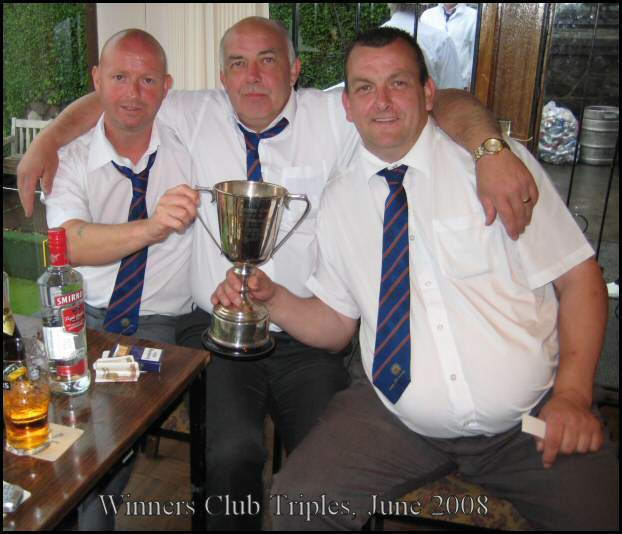 And the winning triple was Alex Hay, skip John McInall and Richard McInall. Runners-up were triple Will.McArthur, Alex Latimer and skip John McDonald. President's invited guests and the Directors comprise the 24 players in this tournament, another excellent day with thanks going to the President and the ladies who laid on a super meal.